Role: To help with the conservation of local wildlife, conduct maintenance work and run conservation education programmes. 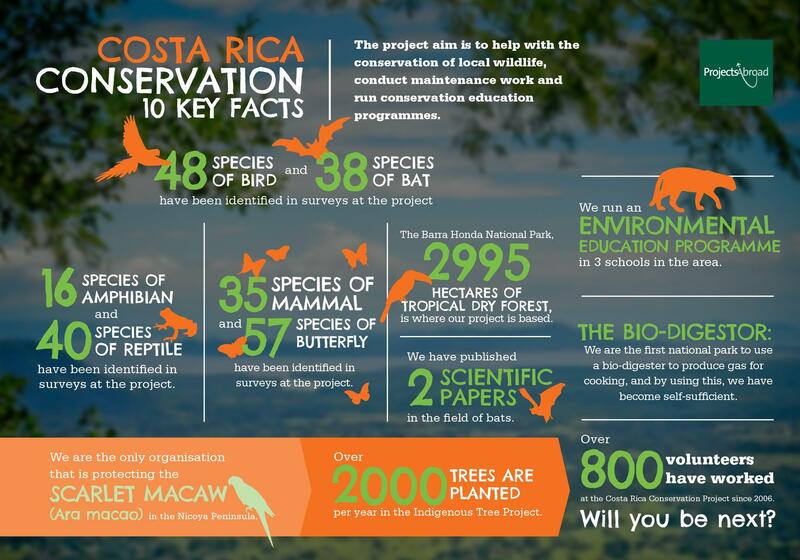 You can take part in a Conservation & Environment project in Costa Rica in Barra Honda National Park. 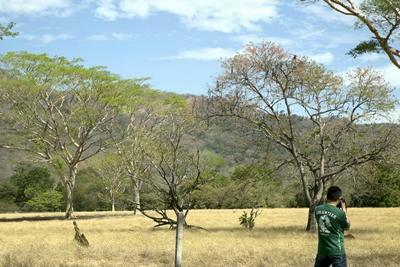 The park boasts 2,295 acres of tropical dry forest and is about 4 hours’ drive from Heredia and 20 minutes from the nearest town, Nicoya. One of the main attractions for visiting tourists is the fantastic network of underground caves and caverns. The project involves research into local wildlife and important maintenance work. You can help with the conservation of numerous species of bats, reptiles, birds, scarlet macaws and mammals such as coatis and ocelots. This will all take place under the guidance and supervision of our experienced local staff. This project is ideal for anyone interested in wildlife conservation. You will get the chance to work in an incredible environment and perform important work. You do not need previous experience to take part in this project. Volunteers are welcome on a gap year, a career break, for university research, or as part of a summer holiday. Blue Flag Project: supporting local schools working to obtain the ecological Blue Flag award by helping them to build biogardens and recycling centres and assisting in environmental education projects in schools and local communities. Building Costa Rica’s first national park biodigester to supply biogas. Volunteers on average work for around six hours a day. The day often starts early in the morning when wildlife is active, although volunteers are split into teams. This means that certain teams will be researching at night while others are on the morning shift. The middle of the day is normally devoted to rest and relaxation to avoid the midday heat! During your stay you will also receive a series of lectures from the very knowledgeable staff you will be working alongside. 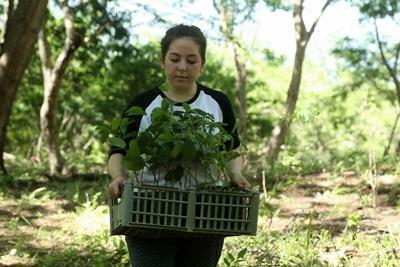 Topics will range from broader conservation issues to specific flora and fauna found in the park. The conservation team in Costa Rica are all qualified biologists or natural resource managers and all are ‘Ticos’ (Costa Ricans). The temperature at Barra Honda is warm year round, but there are wet and dry seasons. The wet season runs from about May to November; however, the rains are becoming less predictable. Work is performed all year round on this project, but there are variations due to the ecology of the species we work with. There is always plenty for volunteers to do, no matter what time of year you arrive! The main aim of this project is to help ensure that the beautiful and diverse natural resources of Costa Rica are not destroyed. Currently over 25% of Costa Rica is devoted to the conservation of plants and wildlife - more than any other country in the world! Ecotourism has become very important too, bringing in over one billion US$ per year. However, as tourism becomes a major industry, the risk of environmental damage increases. 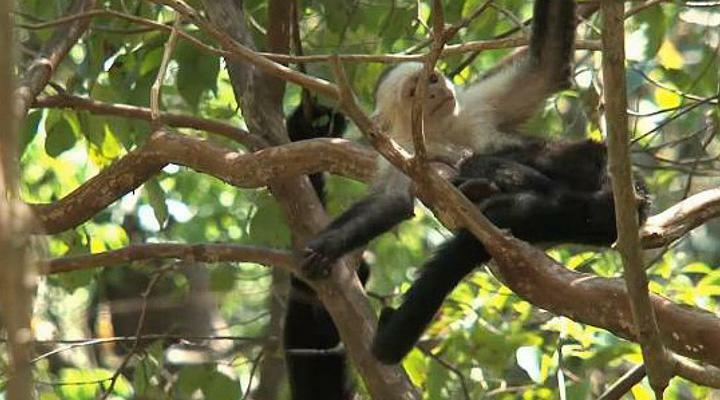 Projects Abroad volunteers have an important role to play in Costa Rica's National Parks. These protected areas are under-funded and can only employ a few full time staff. Your presence gives them the extra hands needed to work on larger and more significant projects. We can then also work on new research initiatives, such as identifying new species of butterflies and bats or helping with reforestation. The team of volunteers and staff at Barra Honda also give support and assistance to other national parks from time to time. Another key issue is environmental education work with local schools and communities that border the national park. The aim here is to raise awareness of the projects taking place within the park and conservation issues in general. This helps your volunteering efforts to be felt throughout the wider community. It also allows local people to understand the importance of conservation in their area. We are currently on track to receiving our national Blue Flag award from the Costa Rica government for our environmental education programme! Volunteers live in the park in camp along with our staff accommodation, offices and kitchen. There are four dormitory style rooms which sleep up to 6 volunteers. The rooms are basic and have a bathroom attached with a cold water shower, toilet and sink. There are also fans to help keep you cool during the day and night, and shelves to put your things on. The camp has a main dining room area with tables where everyone eats together. There is also a TV and DVD player in this area. The park also has a fully equipped kitchen next to the dining room. The Projects Abroad cook, Meicel, is very friendly and will always be happy to make special meals for people who have any specific food requirements. She is always on board to help anyone improve their Spanish or their dancing! Just outside the park's protection limits (about 5 minutes’ walk), although still on the park's land, there is a large football field which is free to use. There is also a small bar with a swimming pool which volunteers can use for a small fee. The park possesses a breath-taking look-out point which offers impressive views of the valleys of the Tempisque River and some of the islands in the Gulf of Nicoya. Many of Costa Rica’s beautiful Pacific beaches are in easy reach of the nearby town of Nicoya. You can join the Conservation & Environment project in Costa Rica for one, two or three weeks if you don't have time to join us for four weeks or more. This project has been selected by our local colleagues as being suitable for short term volunteering for both the host community and the volunteer. Although you will gain a valuable cultural insight and work intensely on a variety of conservation activities please be aware that you may not be able to make the same impact as someone volunteering for a longer period. Volunteers joining the Conservation & Environment project for just one week should arrive at a weekend.